Smooth satin finish. Packed in fiber carton. Made from Aspen hardwood. Waddell Dowel Pin, Fluted, 1/4 in Diameter, 1-1/4 in Length, Hardwood Kiln dried. Eco-friendly for indoor/outdoor use. Can be used for curtain rods, edging, shelving, home decor, bird feeders, hanging baskets, wind chimes, towel bars, etc. Smooth satin finish. Packed in fiber carton. Made from Aspen hardwood. Smooth satin finish. Packed in fiber carton. Made from Aspen hardwood. Unfinished hardwood plugs. Unfinished hardwood buttons. Fits tightly into a corresponding hole to fasten or align two adjacent pieces. Unfinished hardwood plugs. 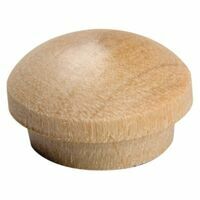 Waddell Dowel Pin, Fluted, 1/2 in Diameter, 2 in Length, Hardwood Waddell Screwhole Plug, 3/4 in, 4 in Overall Length, 5-1/2 in Width, Round Head, Birch Unfinished hardwood plugs. 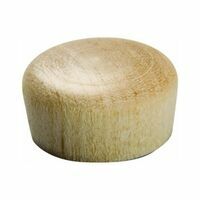 Waddell Screwhole Plug, 1 in, Flat Head, Birch Waddell Screwhole Plug, 3/4 in, Flat Head, Oak, For Construction and Hobby Projects Smooth satin finish. Packed in fiber carton. Made from Aspen hardwood. 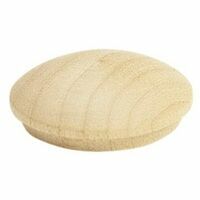 Waddell Screwhole Button, 3/4 in, 4 in Overall Length, 1/2 in Width, Round Head, Birch, For Construction and Hobby Projects Smooth satin finish. Packed in fiber carton. Made from Aspen hardwood. Kiln dried. Eco-friendly for indoor/outdoor use. Can be used for curtain rods, edging, shelving, home decor, bird feeders, hanging baskets, wind chimes, towel bars, etc. Kiln dried. Eco-friendly for indoor/outdoor use. Can be used for curtain rods, edging, shelving, home decor, bird feeders, hanging baskets, wind chimes, towel bars, etc. Waddell Screwhole Plug, 1 in, 4 in Overall Length, 5-1/2 in Width, Flat Head, Oak, For Construction and Hobby Projects Fits tightly into a corresponding hole to fasten or align two adjacent pieces. Waddell Dowel, Square, 3/8 in Diameter, 36 in Length, Hardwood Waddell Dowel Pin, Fluted, 3/8 in Diameter, 2 in Length, Hardwood Smooth satin finish. Packed in fiber carton. Made from Aspen hardwood. Smooth satin finish. Packed in fiber carton. Made from Aspen hardwood. Fits tightly into a corresponding hole to fasten or align two adjacent pieces. Kiln dried. Eco-friendly for indoor/outdoor use. Can be used for curtain rods, edging, shelving, home decor, bird feeders, hanging baskets, wind chimes, towel bars, etc. 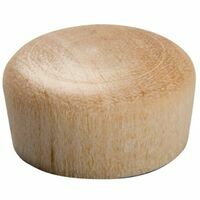 Waddell Dowel, Square, 5/8 in Diameter, 36 in Length, Hardwood Unfinished hardwood plugs. Smooth satin finish. Packed in fiber carton. Made from Aspen hardwood. Unfinished hardwood buttons. Unfinished hardwood buttons. Unfinished hardwood buttons. Unfinished hardwood buttons. Waddell Dowel, Square, 3/4 in Diameter, 36 in Length, Hardwood Smooth satin finish. Packed in fiber carton. Made from Aspen hardwood. Fits tightly into a corresponding hole to fasten or align two adjacent pieces. Fits tightly into a corresponding hole to fasten or align two adjacent pieces. Fits tightly into a corresponding hole to fasten or align two adjacent pieces. Kiln dried. Eco-friendly for indoor/outdoor use. Can be used for curtain rods, edging, shelving, home decor, bird feeders, hanging baskets, wind chimes, towel bars, etc. Fits tightly into a corresponding hole to fasten or align two adjacent pieces. Fits tightly into a corresponding hole to fasten or align two adjacent pieces. Fits tightly into a corresponding hole to fasten or align two adjacent pieces. Waddell Dowel Pin, Spiral Groove, 1/2 in Diameter, 2 in Length, Clipstrip Fits tightly into a corresponding hole to fasten or align two adjacent pieces. Waddell Dowel, Square, 1/2 in Diameter, 36 in Length, Hardwood Fits tightly into a corresponding hole to fasten or align two adjacent pieces. Kiln dried. Eco-friendly for indoor/outdoor use. Can be used for curtain rods, edging, shelving, home decor, bird feeders, hanging baskets, wind chimes, towel bars, etc. Fits tightly into a corresponding hole to fasten or align two adjacent pieces. Smooth satin finish. Packed in fiber carton. Made from Aspen hardwood. Fits tightly into a corresponding hole to fasten or align two adjacent pieces. Waddell Dowel, 3/8 in Diameter, 36 in Length, Oak Waddell Dowel, 3/4 in Diameter, 36 in Length, Oak Smooth satin finish. Packed in fiber carton. Made from Aspen hardwood. 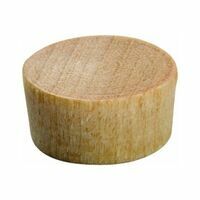 Waddell Dowel Pin, Spiral Groove, 5/16 in Diameter, 1-1/2 in Length Waddell Dowel, 5/8 in Diameter, 36 in Length, Oak Fits tightly into a corresponding hole to fasten or align two adjacent pieces. Fits tightly into a corresponding hole to fasten or align two adjacent pieces. Waddell Dowel, 1/2 in Diameter, 36 in Length, Oak Fits tightly into a corresponding hole to fasten or align two adjacent pieces. Kiln dried. Eco-friendly for indoor/outdoor use. Can be used for curtain rods, edging, shelving, home decor, bird feeders, hanging baskets, wind chimes, towel bars, etc. Kiln dried. Eco-friendly for indoor/outdoor use. Can be used for curtain rods, edging, shelving, home decor, bird feeders, hanging baskets, wind chimes, towel bars, etc. Kiln dried. Eco-friendly for indoor/outdoor use. Can be used for curtain rods, edging, shelving, home decor, bird feeders, hanging baskets, wind chimes, towel bars, etc.